Positive Changes Hypnosis: Best Exercise Intensity-Fast or Slow? Best Exercise Intensity-Fast or Slow? Many people mistakenly believe the best way to lose weight through exercise is to train at a very slow pace for a long time. This notion came from Scandinavian studies in the 1960's that showed the body used more fat when exercising very slowly than when training more intensely. Some people interpreted these results to mean that low-intensity exercise is better for losing fat. This notion is nonsense! You lose fat by burning more calories than you take in. You'll burn many more calories training intensely than exercising slowly. The body doesn't metabolize fats by themselves. Rather, fat metabolism is integrated with carbohydrate and protein metabolism. 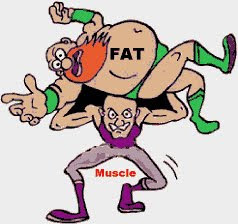 Even if you used more fat during exercise, fuel storage balances itself out according to energy balance-calories in versus calories out. Intense exercise causes you to burn more calories and fat after the exercise is over. So, to lose fat, work harder and burn more calories.